We have worked closely with Pluss for a number of years now, through our project work as well as the development of a new website for them. However after seeing that we offer a video and animation service too, they approached us for a quote to create them a video. This was going to be used to showcase a number of their clients who have a disability that Pluss have supported into finding employment, as well as being displayed at Parliament to position Pluss as a leading specialist Welfare to Work provider. From the offset, Jack, our in-house video producer worked closely with Pluss’ Communications and Public Affairs Manager, Geraldine Scott-Smith to produce a video that not only grabbed the attention of those watching it, but created a real emotion to. A number of techniques were used to portray emotion within the video, which included using upbeat, optimistic music to create a positive atmosphere to the video, showing the case studies smiling and proactively interacting with others and also incorporating positive words from those that work with each of Pluss’ clients to add to the optimism of the video. We spent several days filming across a number of locations between the farthest regions of Devon and Somerset, Gloucester to Plymouth, to capture the stories of a number of Pluss’ clients and their employers to produce a final video that showcased their individual stories, difficulties and the positive outcomes of finding employment. 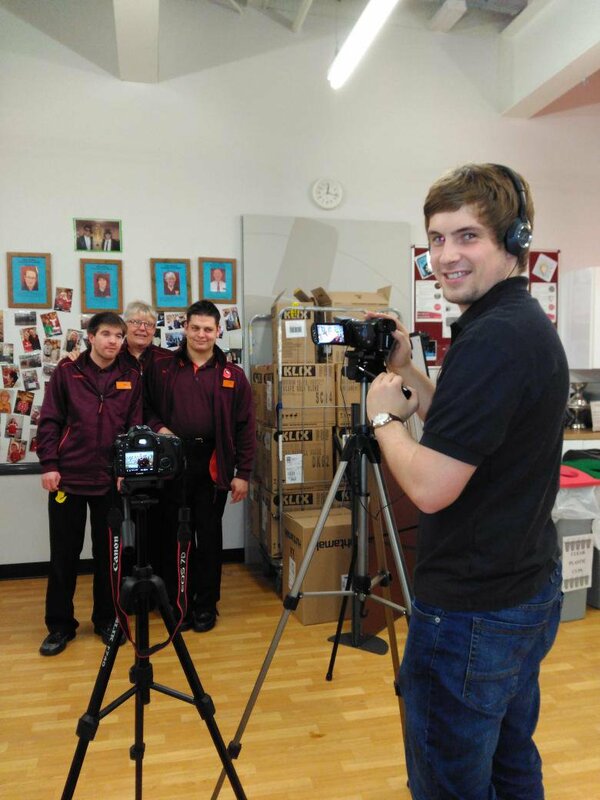 One example was Ben; a Checkout Assistant at Sainsbury’s in Ottery St Mary. Ben has Cerebral Palsy, along with a visual impairment, but has an incredibly positive outlook on life. One of the first things that we noticed when filming him was how personable and polite he was with customers at Sainsbury’s. He would always smile and ask them how there day is going, which allowed us to capture some truly valuable footage to portray him on video. We were even told that customers would queue up at his till purely down to his personality and pleasantness alone. It has been a real pleasure to be able to work with Pluss to develop their video and we look forward to the pleasure of further work with them in the future.